What a week it's been! Thank you all so much for your nice comments on my new website and blog. I feel a lot more relaxed now that it's live. I'm working on getting the word verification issue fixed when you leave a comment, but I'm told that sometimes it will automatically ask for it, so my apologize for the inconvenience. 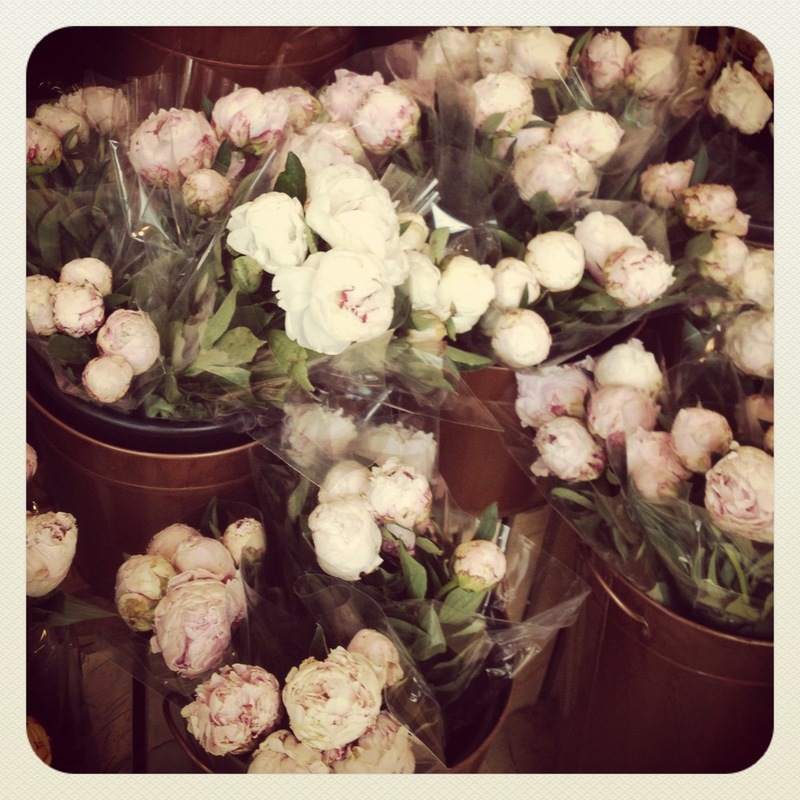 Whole Foods has the most gorgeous peonies right now. Thank you North Carolina for sending us your pretty peonies. The shrubs in my yard are still tiny buds and won't be in bloom for another month. Made my favorite salad recipe from Ina Garten. Roasted Shrimp & Orzo is perfect every time. Time for some new spring make up. Always feels good to freshen things up. Look how pretty the water bottles are at Neiman's. Hello charming butterflies! The pink grosgrain bow on my new bottle of perfume makes me happy. This is how packed my SUV is on an install day. Perhaps I need a cargo trailer to pull behind. Thank goodness the delivery company shows up with a giant moving truck with the furniture. Charlotte popping in to say 'hello'. And, as usual, Lily Cler not so interested in saying 'hello'. Hope you all had a productive and great week as well.